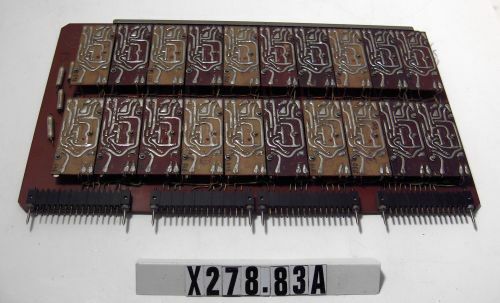 TQ5 unit from ELLIOTT 803B Germanium Transistor Computer. This unit generated inhibit signals for the control of the core memory. It received the signal from the TH2 unit. 40 parallel inhibit bits were required. Modular construction was used for economy & to save space. Each board has two transistors & one transformer.